Above: Major node along the Ballina Coastal Recreation Path leading through the East Ballina Aboriginal Place. Custom-designed interpretive node provides a space aside from the adjacent multi use bike path. Here individuals and small groups can step aside from their journey to take in the experience on offer at the node. Original designs from local Aboriginal artists underpin the interpretive media. QR code links to supporting web-app static digital content including video presenting Aboriginal elders speaking about the significance of the Aboriginal Place. User Experience (UX) heritage interpretation focusses on the totality of the visitor experience – not just the component part that is traditionally dedicated to intepretive media. It recognises that people unconsciously attach values and meanings to every aspect of their heritage experience. This extends from the time of planning their outing through to their post-visit memories and ongoing connections. By placing the overall user experience (UX) at the heart of the interpretive planning process, it seeks to positively influence the value/meaning sets visitors attribute to the heritage setting. This approach accepts that people are already attaching meanings and values to a place prior to ever encountering a designated interpretive medium like signage. Quality landscape design speaks to a location that is valued and cared for, while effective orientation panels recognise that the first priority for visitors in an unfamiliar setting is to get their bearings. They first must access key facilities like toilets and gain a simple understanding of the experiences on offer to them in the precinct. 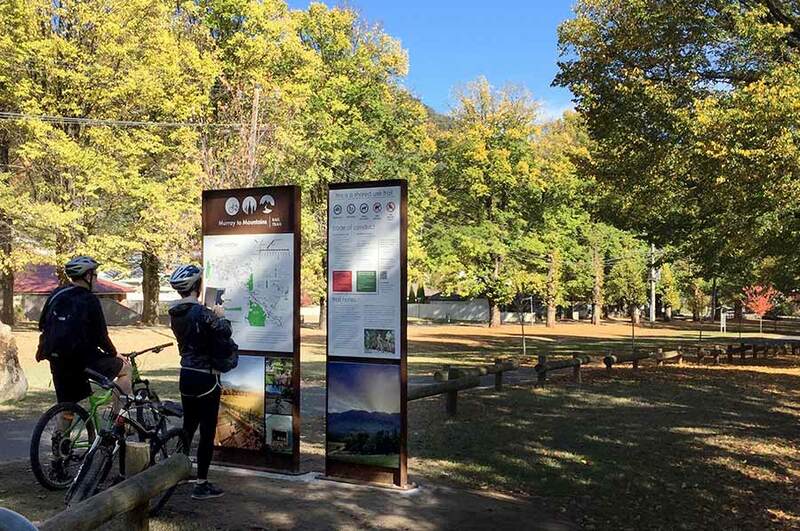 By extending the interpretive process to actively engage with the design and delivery of this infrastructure, UX design aims to assist in the visitor forming positive meanings and values from the outset of their connection with a precinct. This user experience (UX) approach also clearly identifies that it is not the role of heritage interpretation to define the meaning and value of the heritage asset. It can simply communicate what is. The meanings and values people may choose to attach to this content are entirely their own affair. 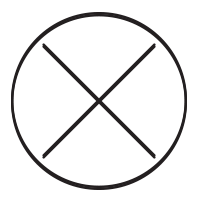 In this way a user contract is formed between the manager and the visitor. One provides the experience grounded upon a clear sense of place. The other delivers the emotional assessment as regards what the meaning and value of this may be to them. Respecting this transactional space ensures interpretation does not overreach its mandate and attempt to attach a defined set meanings and emotions to the content it presents. It recognises and respects the fact that different people will respond to/interpret different heritage places in different ways. This understanding provides a clear foundation upon which UX heritage interpretation design can build. 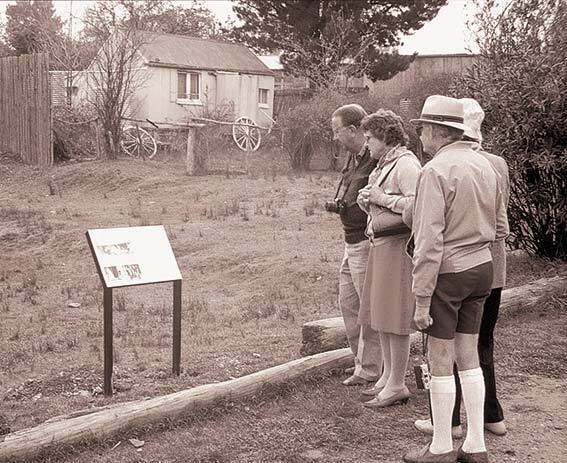 The underlying model in play at Hill End Historic Site when this photo was taken in the late 1980s continues to underpin many heritage interpretation platforms today. In this context, the visitor is the passive recipient of pre-packaged message content prepared on their behalf by the interpretive team. They have no capacity to interact with or enquire of the medium such as to follow their own lines of enquiry. Nor can they choose to read the message in their preferred language. Limitations such as these place many conventional interpretive media settings at odds with user expectations in a post-2020 operating environment. Mobile digital technology has changed the fundamental expectations people bring with them in relation to accessing information in a given setting. This does not mean that every interpretive response needs a digital component. It does however mean that in a post 2020 operating environment all interpretive communications are being undertaken in a digital age. Ignoring the challenges this presents for the traditional interpretive platform delivery models risks increasingly isolating out interpretive interventions as expensive irrelevancies for the modern user. 2028 marks the 100th anniversary of Carl Jung publishing his work on psychological types. Jung's work allows us to understand how we all use four primary functions to process information about the world around us. Two of these processes – thinking and feeling – are conscious. 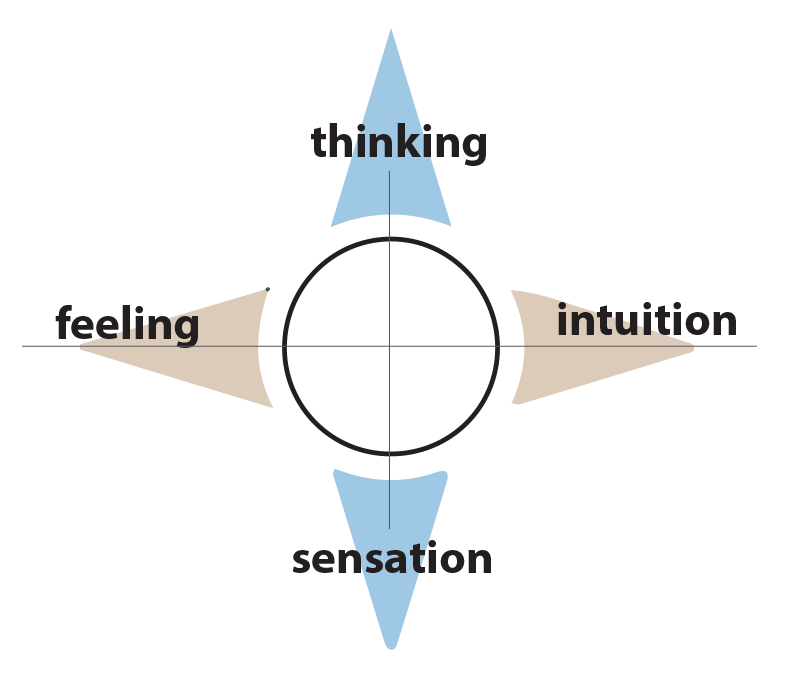 The other two – feeling and intuition – are unconscious. While these functions are common to all, no two people will necesarily use the same functional pathway as their main way of responding to and interpreting the world around them. Some people need to get a feeling for a place before they begin to understand it. Others must start by thinking about and assessing the facts of the matter before they can respond to it. A simple assessment of the four functional information processing pathways underpins the delivery of a User Experience (UX) model of heritage interpretation. It recognises that traditional media such as signs are innately more relevant to users whose first point of reference with a new environment is via their thinking function directed at assessing facts and other relevant data. Visitors who need to get a feeling for a place before they can attribute meanings and values to it may however draw more strongly on the landscape settings and overall ambience of a location in the first instance. Awareness of these simple differences in the ways in which people connect with and understand the world around them, is something we now accept as an everyday part of our understanding of social diversity. Extending this understanding to the delivery of the heritage interpretation platform invites us to consider the totality of the visitor experience ecosystem - not just the specific components traditionally designated as comprising interpretive infrastructure. 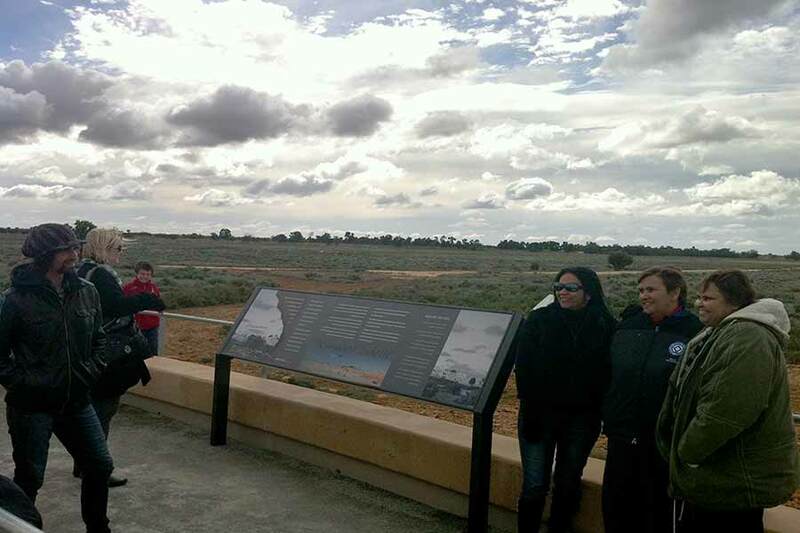 The creation of the Mungo Meeting Place in the Willandra Lakes Region World Heritage Area in 2010, shows how user experience (UX) interpretive design can underpin the creation of an integrated visitor experience. The Meeting Place invites visitors to connect with three renowned heritage features. The first of the three icons is Mungo Lady. Discovered buried in the Mungo Lunette in 1969, this Aboriginal women walked on Country at Mungo over 42,000 years ago. Today she is recognised as the world's oldest cremated person. Mungo Man's remains were discovered in the Mungo Lunette some 5 years later in 1974. He walked on Country at Mungo around the same time as Mungo Lady. Together they are acknowledged as some of the oldest remains of modern humans ever to be found outside of Africa. The third heritage feature to be connected with at the Mungo Meeting Place are Mungo's 20,000 year old human fossil trackways. Re-discovered in 2003, these are recognised as the world's largest collection of ice age human footprints. 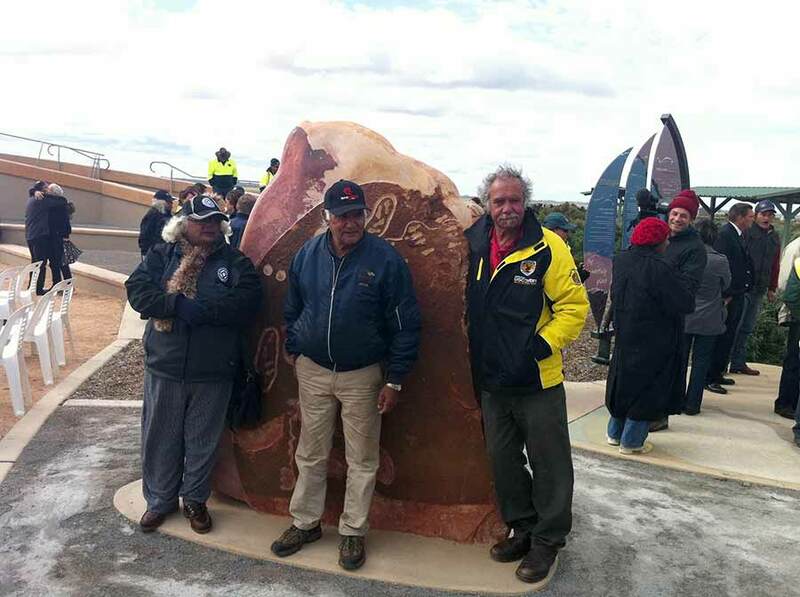 The challenge for the Meeting Place project was to provide a setting where Aboriginal people could gather when on Country while also sharing their stories with visitors via the medium of the park's indigenous guided tours. The way in which the solution on site allows visitors to connect with the precinct via any of the four functional information assessing pathways is outlined below. The delivery of factual content via the signage medium onsite is kept very discrete. Only the entry orientation sign and two detailed narrative signs nestled in the context of the "lunette" styled landscape feature tell the essential story narrative. The key idea here is that the preferred way for visitors to learn the stories of the Meeting Place is via a guided tour. Accordingly the sign content doesn't attempt to undermine this core information delivery platform. Rather it is structured so as to support the effective delivery of a guided tour option through the means of its various "props" that the guide can talk to. 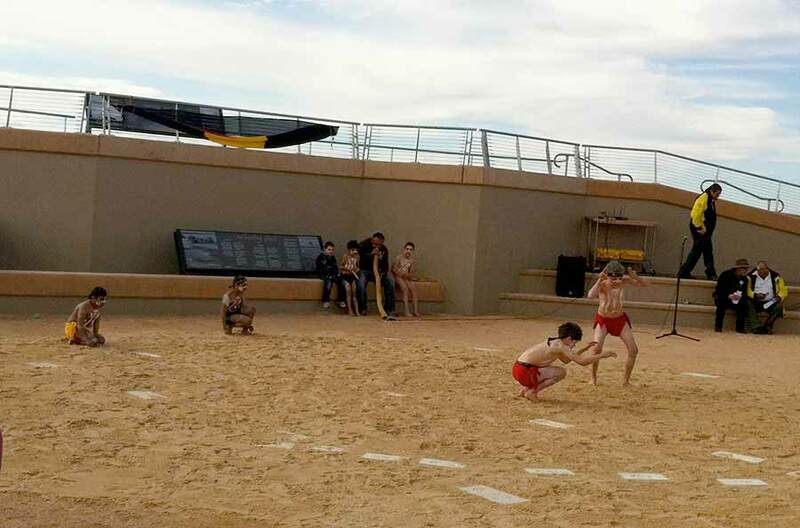 The key sensory experience on offer at the Meeting Place is the chance for people to walk, jump and run amongst a recreated section of the footprint ensemble. Given the original footprint location is a closely guarded secret and that they are also covered by a protective layer of sand, this recreation using 3D scans to make mouldings prior to forming concrete replicas is the only chance anyone has to see a sample of the footprints in the open air today. 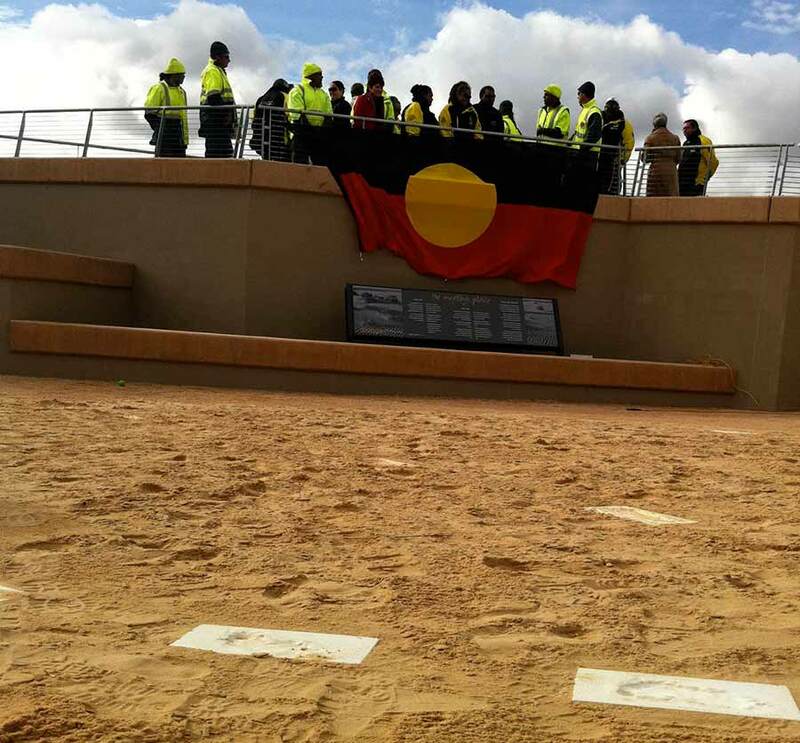 The local Aboriginal communities that care for their Country at Mungo were closely involved in every stage of the project's development from concept to execution. This sense of ownership and pride in their heritage underpins the venue's sense of place. The landscape intervention mimicks the sweep of the lunette running around the 30km long dry Mungo lakebed. Visitors speak of immediately feeling like they have entered a considered, very special place. Amongst the variety of non-verbal communication media underpinning the communication ensemble at Mungo is a striking entry rock installation undertaken by Aboriginal artist Badger Bates. Additionally the entry signage uses a design palette that evokes the swirling shifting sands of the lunette that have buried 40,000 years of heritage treasures along the eastern edge of the lakeshore. Additional Aboriginal artwork morifs by Badger Bates were also integrated into the entry path. 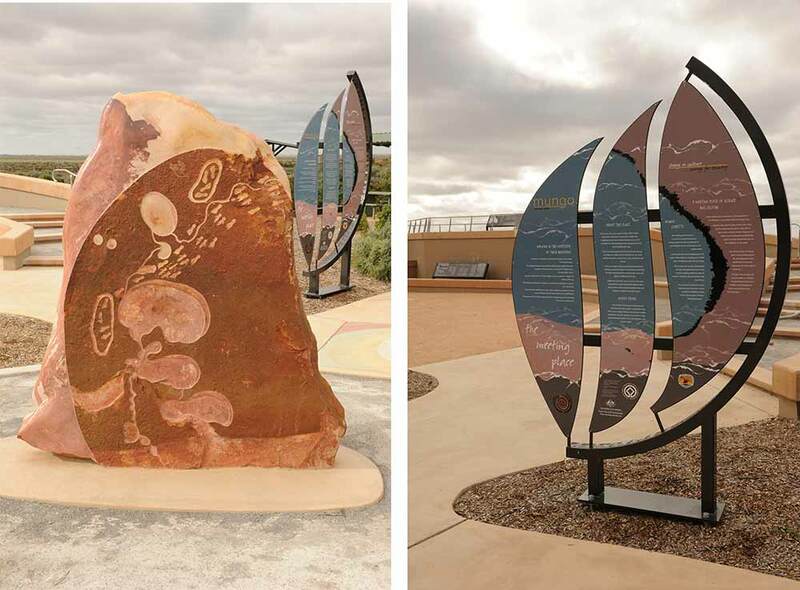 This underlying integrity of the product in the way it actively seeks to assist Aboriginal people to share their connections to Country in a culturally appropriate manner, underpins the intuitive sense of purpose and authenticity that visitors receive upon arrival to the precinct.